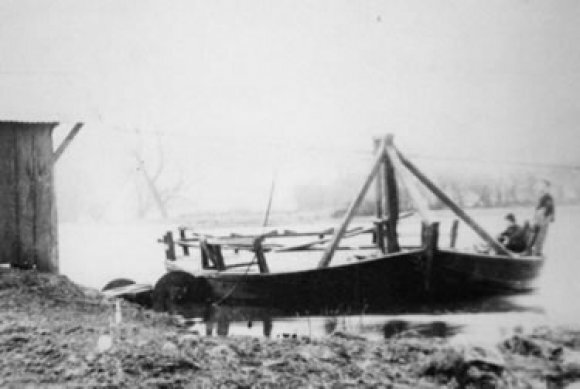 At some time in the 14th or 15th Century it appears that the course of the Egginton Brook, which had previously flowed past or through the village, to join the River Trent about a mile to the east, near the settlement then known as 'Potlocks' became integrated with the Trent itself which had, until then, meandered across the flood plain towards Repton . This probably occurred during flood conditions when the Trent must have broken into the course of the brook. Potlocks village was subsequently abandoned. James Trubshaw in 1839, as a toll bridge. The ford across the river was off Ford Lane, adjacent to the road presently called Ferry Green, was probably built in the 1600's when Lord Paget of Kings Newton constructed a navigable channel up the Trent from Wilne to Burton. The boats were hauled up the river by teams of ten men! Unfortunately the Trent silted up at the confluence with the River Dove and Willington became the highest Navigable point on the River. 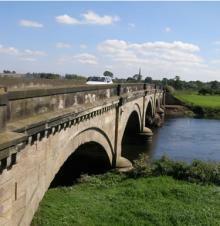 It certainly was ancient when it was closed by act of Parliament when the new toll bridge was built in 1836. The ford was in fact a stone faced carriage way, which was partially deliberately destroyed when the ford was closed down to prevent its further use. However parts of the masonry were found in the water by a diver, in 1996 when the river was low. During the period from about 1680 to 1805 when the river was used for transport, both up and downstream, a number of wharves and warehouses were built on the Crewe and Harpur lands, along the river bank towards the ford. A road along the bank off Bargate Lane was known as Warehouse Road. Amongst the uses by river traffic was the movement of flint to , and pottery and from, Stoke on Trent to London, via Gainsborough and the River Trent. Cheese, china and iron wares were also exported via the Humber but the trade ceased about 1806 soon after the opening of the canal in 1777. 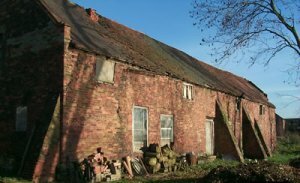 Some traces of the wharves still remain although an 18th C wharf building by the river, off Hall Lane, was only demolished as late as 2002.